Medical Center of McKinney provides exceptional medical care to McKinney, Plano, Allen, Frisco, and surrounding communities with our full service, acute care hospital . We have an expanded Adult Intensive Care Unit, a Level II Nursery, Full Service Heart and Neuro Programs, over 8,000 surgical procedures and 35,000 ER patients annually plus a Medical Staff of over 500 doctors. With more than 80 years of service to the community, Medical Center of McKinney continues to provide the most advanced technology for diagnosis and treatment. Located on the SE corner of the I-75 and Highway 121 intersection, access to healthcare services has never been more convenient. The City of McKinney has the second fastest growing population in the nation among cities with a population of 100,000, according to the United States Census Bureau. 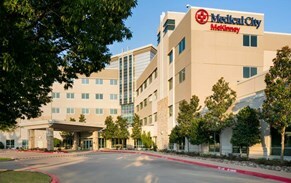 Medical Center of McKinney's Primary Service Area boasts an average household income of over $80,000. There are three historic districts and a downtown square that thrives with activity, which gives it a small-town feel, but it is only a short drive to the amenities of the DFW metroplex. Also, there are three master planned communities with all the conveniences of contemporary living such as golf courses, parks, hike & bike trails, and lakes. If quality of life for you and your family is a priority, make it your home town and come join McKinney's growing medical community.